At the time of writing Googling “Prader-Willi Syndrome” produces over 1.1 million results. A YouTube search alone produces over 6,000. Many of these links offer contradictory messages about what PWS is or might mean for an affected individual or their family. Many more are outdated and tell stories of how PWS appears to have affected some individuals before early diagnosis and current medical and therapeutic interventions became common. As the sheer volume and dubious quality of internet commentary and “resources” on PWS may seem overwhelming, PWSAI has decided to draw your attention to one or more link each Wednesday. While all of the content in these links will probably not correspond to the individual experiences of each person with PWS and their families, we are sharing them because we hope that at least some of them will be of interest. If there is a resource that is freely available online that you have found particularly useful please let us know so we can include it. See below for our latest Wednesday webLINK…! If I could only have one PWS resource the PWS Medical Alerts Booklet would probably be the one I’d choose. It’s intended to convey essential medical information both to family members and to medical professionals who may have limited or no knowledge of PWS. 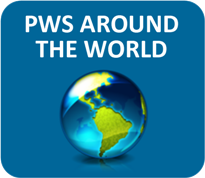 This week’s webLINK is to a thoughtful presentation by a parent on her family’s experience with PWS. This week’s webLINK is to a newly published article by Colin Reilly. Among other things it found that rates of diagnosis of ASD and ADHD were lower among people with PWS and other neurogenetic syndromes than had been suggested by previous research. This week’s webLINK is to a PWS Classic made available by PWSA (USA) and entitled “Medical Alerts”. Keep it close at hand (downloaded on your phone, in your car) in case you ever find yourself in a hospital or other environment where you need to explain key medical features of PWS. This week’s webLINKs are to a series of research bulletins developed by the Middletown Centre for Autism. These bulletins summarise findings in relation to specific areas of relevance to those working in education with people with autism. With bulletins on topics such as managing anxiety, social communication, and transition, many of these bulletins are likely to also be of relevance to people with PWS. This week’s webLINK is to a 2013 review of endocrine issues in PWS. This week’s webLINK is to a 2014 article on constipation in adults with PWS. It found that constipation was very common in PWS and that patients with PWS also have an increased prevalence of prolonged gastrointestinal transit time. This week’s webLINK is to a documentary featuring adults with PWS and family members of people with PWS. Unlike a lot of PWS films this one isn’t geared towards fundraising and doesn’t gloss over challenges, but rather is all about sharing the perspectives of this particular group of people. This week’s link is to an article that examined media coverage of Prader-Willi Syndrome in US and international newspapers between 2000 and 2005. This week’s webLINK is to a Talking Glossary of Genetic Terms. So, whether you want a basic explanation for a deletion, duplication, stem cell or syndrome, you can just click on the relevant term and listen. This week’s webLINK is to a beautifully-written, reflective and honest article by Steve Edwards about his search for beauty amid the daily grind of parenting a child with special needs. This week’s webLINK is to the description and contents page of a very useful 2013 book edited by Charlotte Hoybye and simply entitled ” Prader-Willi Syndrome”. Unfortunately, it’s expensive, but as it features articles from a wide range of renowned PWS researchers, it may still be worth the investment. This week’s webLINK is to a film about a day in the working life of adults with PWS in Germany. 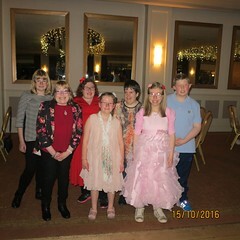 This week’s webLINKs are to a selection of blog posts written by parents of children or adults with PWS. While the links below are to single posts, all these blogs offer many more interesting posts too. A Comprehensive Study of Irish Children with Prader-Willi Syndrome ages 2-14 years. Not freely available online, but this has been described in the International Journal of Paediatric Obesity, 5, (1), 2010, p60 and can be accessed by those with institutional access to this journal. A new study has been published examining the long-term effects of growth hormone treatment in PWS. The good news is that these effects appear to be positive. The study, conducted in the Netherlands, and part-funded by Pfizer, examined a large sample (60 children) for a long period (8 years) and found that growth hormone helped maintain healthy body weight, height, and head circumference, bringing all of these variables into the normal range for children of that age. There were no negative effects on blood sugars (which would affect a person’s risk of diabetes), blood serum lipids (which would affect risk of heart disease), or bone strength (which would affect risk of osteoperosis). The publication is available only on a pay-per-view basis, but a slightly longer description has been posted on Healio.com’s ‘Endocrinology Today’ page: http://goo.gl/aOZ5g9. Unfortunately, the headline on this version is a little misleading. It suggests that growth hormone was found to ‘slow the course of PWS’ in general — in fact, the study only looked at how growth hormone affected aspects of body weight and shape. Nonetheless, the research gives us promising new information about the benefits and safety of growth hormone in PWS. Until recently PWS has been described as having two distinct nutritional phases: poor feeding in infancy, and hyperphagia thereafter. However, researchers now suggest that seven distinct nutritional phases can be identified. Need to know Nutrition for Children with Prader-Willi Syndrome is an accessible guide for parents and carers first published in 2012. Jacob Zawitz, an articulate and inspiring man with PWS, talked about his personal story at the 2013 Foundation for Prader-Willi Research conference held in Toronto. Dental abnormalities are among the many challenges posed by PWS. A recent Foundation for Prader-Willi Research blog post summarises key dental issues and identifies recent relevant publications. 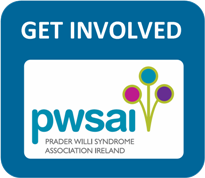 Exercise and Physical Activity for Children with Prader-Willi Syndrome is an accessible guide for parents and carers to exercise requirements for children with PWS. Dr Alastair Garfield and Kate McAllister explain how computer technology can be used to further research into hyperphagia in Prader-Willi Syndrome. Anxiety is often described as one of the most challenging symptoms of PWS. This week’s webLINK is a presentation by Elizabeth Roof about anxiety in PWS. It was given at the Foundation for Prader-Willi Research Canada’s conference in April 2013. Inspiring speech from Canadian Paralympics and Special Olympics swimmer, Megan Michie, who also has PWS. PWS Awareness Month. Around the world May is recognised as PWS Awareness Month. We are happy to draw your attention to this video by PWSA-USA Advisory Board Member, Abbott Philson, calling on everyone to help raise awareness about PWS this May. This talk discusses the need for phenotypic studies that balance salient psychiatric and medical problems with cognitive, adaptive or personality strengths. It also presents data on the role of development and genetic subtypes in the expression of these disorders. Finally, it discusses new data on the family environment and interplay between phenotypic variability and maternal stress, health and mental health. Pittsburgh Partnership Psychiatrists’ Primer for PWS (2005). Although not a new resource, this document continues to be a very popular summary of key information about PWS for psychiatrists and psychologists who are new to the syndrome. Following the recent success of PWSAI’s own conference we would like to begin by drawing your attention to the presentations made at the Hyperphagia conference hosted by PWSA USA in November 2012. This was attended by 102 people, including representatives from 5 pharmaceutical companies and included 22 presentations from worldwide experts on hyperphagia.